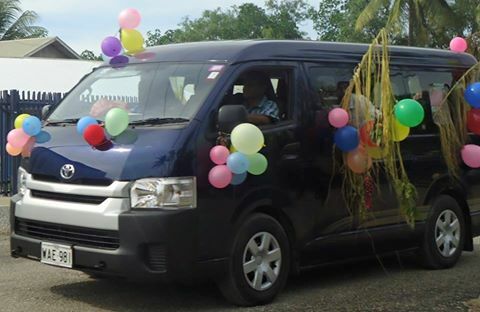 Wewak based NCSL member, Herman Huaffe is a local businessman who has been saving money with NASFUND Contributors Savings & Loan Society Limited (NCSL) since 2009. Huaffe, who is 45 years old and comes from Marik village in the Wewak District of East Sepik Province is a self employed driver for local market sellers and his savings with NCSL has assisted him to purchase two vehicles which he now owns and utilises them both to help local market sellers bring their produce from the villages to Wewak town market. In 2007 Herman started an informal market at home with a capital of K200.00 and within two years raised K2000.00. 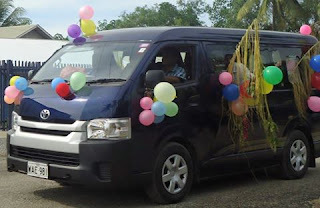 Last month, Herman purchased a brand new 16 seater bus worth K105, 594.70 from Ela Motors in Wewak using his NCSL general savings.